Although it lacks the cachet of, say, Lexus or Acura or Infiniti, Mitsubishi does have a solid reputation for producing family-oriented, value-laden economy cars. 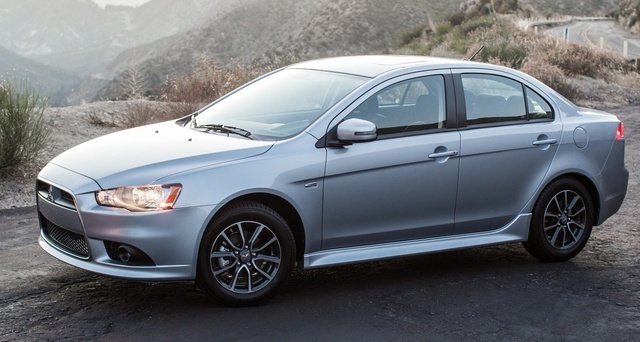 The 2015 Mitsubishi Lancer is a case in point. This 5-passenger compact sedan offers little in the way of posh, techno-adventure, power or driving panache, but it does boast a couple of full-time all-wheel-drive (AWD) trims, a turbocharged powerplant and, even in the higher trims, a livable MSRP. This capable if unexciting 4-door remains available in 4 trims, the base ES, the sporty GT, the upper midlevel SE and the flagship Ralliart. It’s also offered in Lancer Evolution form and in practicality-minded, 5-door Lancer Sportback (hatchback) garb, but those versions are covered in separate overviews. It should be noted that the SE and Ralliart each come with the above-mentioned AWD, while the ES and GT iterations both remain delivered only with front-wheel drive (FWD). Additionally, as you climb higher on the Lancer trim list, engines get more powerful. Some changes also get laid onto the Lancer brand for 2015, including a redesigned bumper on the SE and a few tweaks to the GT’s front fascia. Additionally, all trims now arrive in showrooms with standard heated power-adjustable outside mirrors, while the SE sports standard FUSE/Bluetooth hands-free audio, and an available Value Pack with upgraded infotainment features and interior materials is introduced for the entry-level ES. No changes, however, have been slated for the 3 drivetrain offerings for 2015, thus the ES, for example, once again sports the base 2.0-liter inline 4-cylinder engine and again mates it with the standard 5-speed manual transmission for 148 hp and 145 lb-ft of torque. Those who desire a less physical cruise to work or the mall can select the available continuously variable transmission (CVT), which reviewers warn can be noisy and a bit clunky. In any case, expect EPA-estimated mileage to be 25 mpg city/34 highway in the stick-shift-equipped ES and 26/34 in CVT-packing versions. 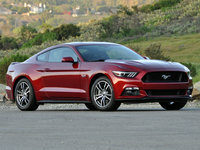 Both the GT and SE trims carry a 2.4-liter I4 powerplant, with the GT again offering the standard 5-speed manual transmission or the optional CVT. The SE remains toting only the CVT, while in either instance, power numbers return at 168 hp and 167 lb-ft of torque. Mileage numbers remain 22/31 with the stick-shift GT and 23/30 with the CVT, while the AWD- and CVT-packing SE runs an estimated 22/29. Shelling out the (comparatively) big bucks for the 2015 Ralliart gets you a 2.0-liter turbocharged I4 engine mated with a 6-speed auto-manual transmission to the tune of 237 hp and 253 lb-ft of torque. Meantime, look for this force-fed I4 to burn premium gasoline at an 18/25 clip. 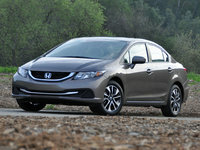 Standard bells and whistles in the base ES include, besides the above-mentioned additions for 2015, 16-inch steel wheels, a driver information display, full power accessories, cloth upholstery, cruise control, tilt-wheel steering and manual air conditioning. This entry-level trim also returns with a single-CD player sporting 4 speakers and an auxiliary audio input jack. The next-up GT adds 18-inch alloy wheels and a rear spoiler to the mix, as well as a sport-tuned suspension, an upgraded interior, keyless entry/ignition, a rear-view camera, front auto climate control and a 6-speaker stereo boasting 6 speakers, satellite radio and a FUSE/Bluetooth hands-free interface. The SE, meanwhile, sports, besides full-time AWD, 16-inch alloy wheels, chrome exterior accents and heated front seats, with the Ralliart adding hill-start assist and dual exhaust pipes, along with a sport steering wheel, unique cabin accents and upholstery, and aluminum pedals. Of course, less expensive Lancer trims can be equipped with a number of items that come standard on higher trims as options, while a power sunroof and GPS navigation are additionally available to upper-echelon trims. The Deluxe and Alloy Wheel packages also return as options for select 2015 Lancer trims, as does an optional and formidably featured Touring Package, boasting leather upholstery and 9 Rockford Fosgate speakers along with the sunroof and an auto-dimming rear-view mirror. Finally, standard safety features in all 2015 Lancer variations include 4-wheel antilock brakes (ABS), traction and stability control, front and rear head airbags, front side-mounted airbags and front head restraint whiplash protection. Daytime running lights and a remote antitheft alarm are also delivered standard lineup-wide, as are the new-for-2015 turn-signal-integrated mirrors. The GT and Ralliart, meanwhile, offer standard front fog/driving lights that remain optional in the ES and SE, while rear parking sensors return as optional safety equipment in all trims. What's your take on the 2015 Mitsubishi Lancer? ArtistPatti The 2015 Ralliart I just bought.......a solid 87% driving enjoyment. 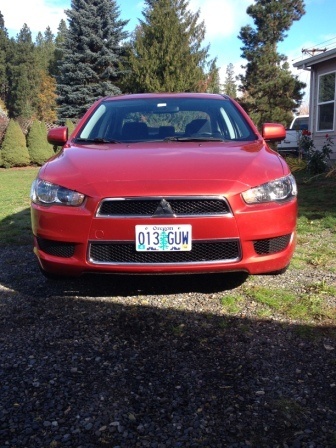 Have you driven a 2015 Mitsubishi Lancer? I was curious if the stock touch screen receiver in a 2015 lancer se would fit in my 2015 lancer es? Is The 2015 Mitsubishi Lancer A Good Car To Buy?